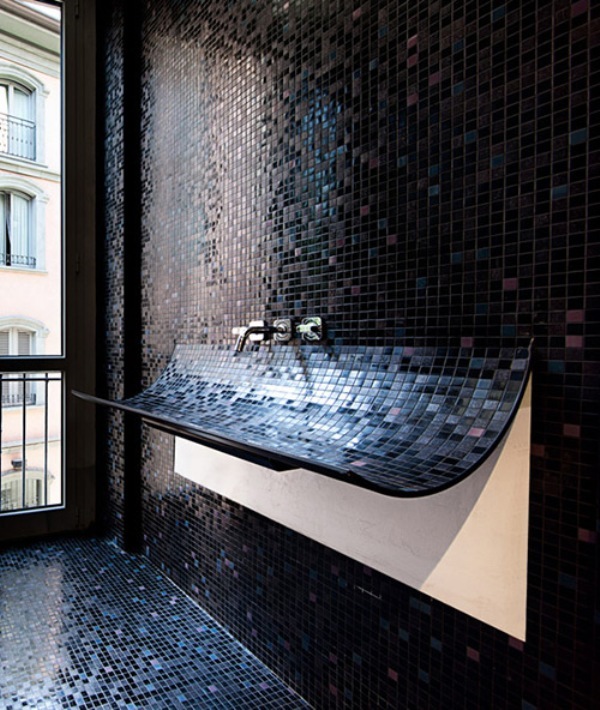 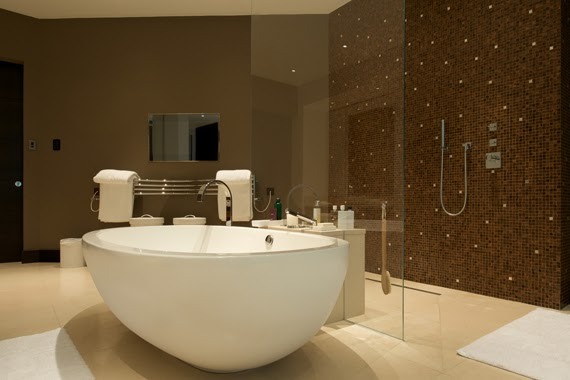 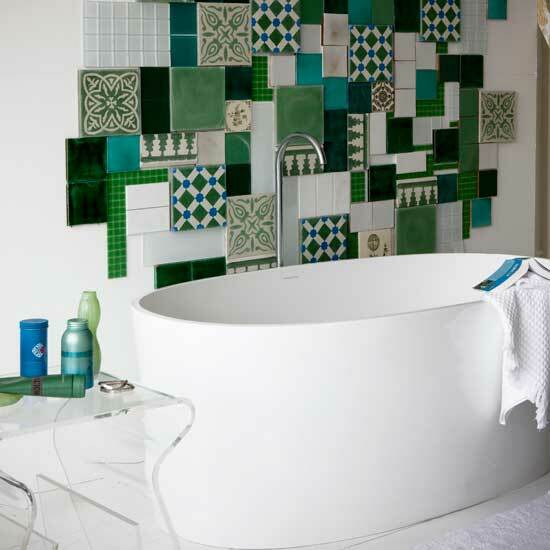 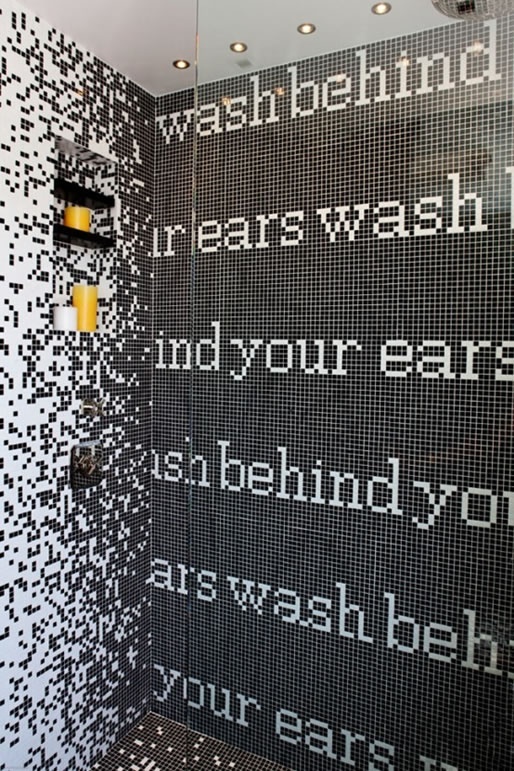 Liven up your bathroom by using mosaic tiles! 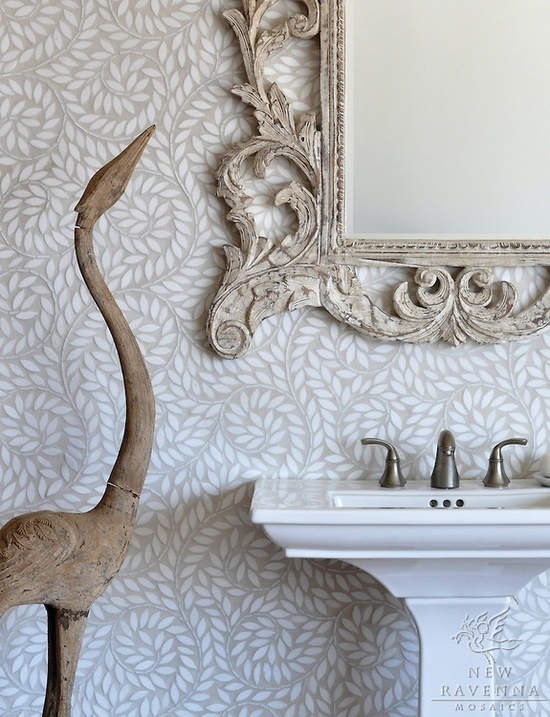 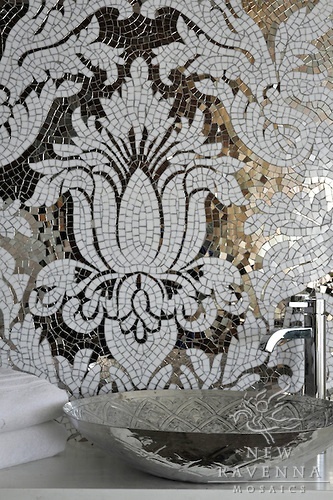 Check out these these stunning mosaic ideas to inspire you! 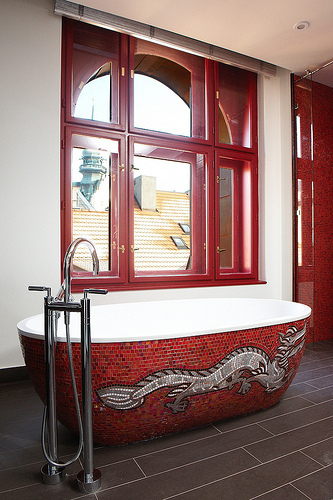 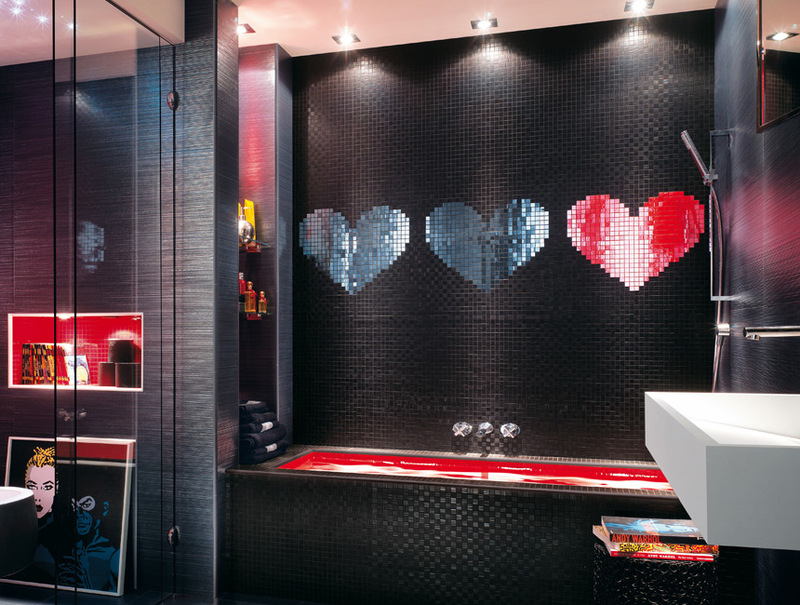 Modern black, gray and red bathroom mosaic by Italian firm FAP Ceramiche. 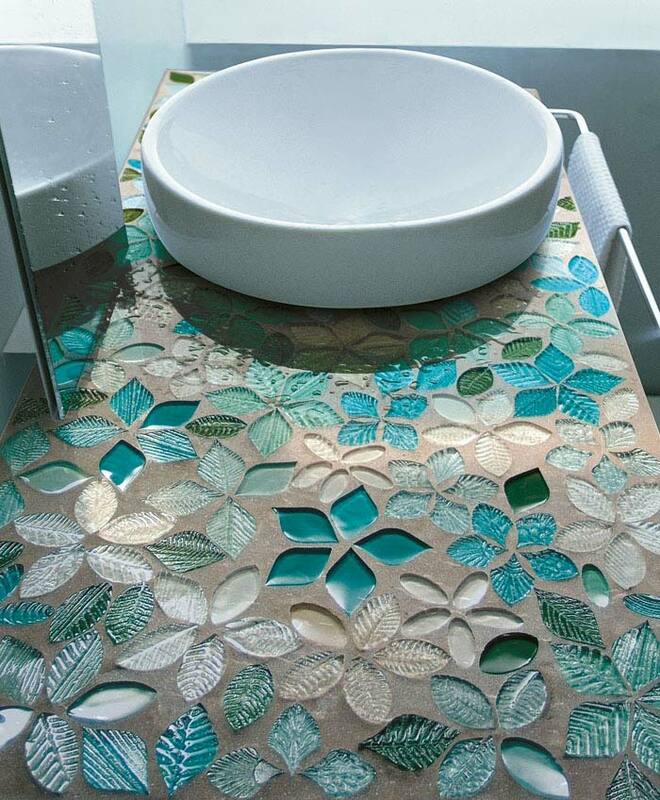 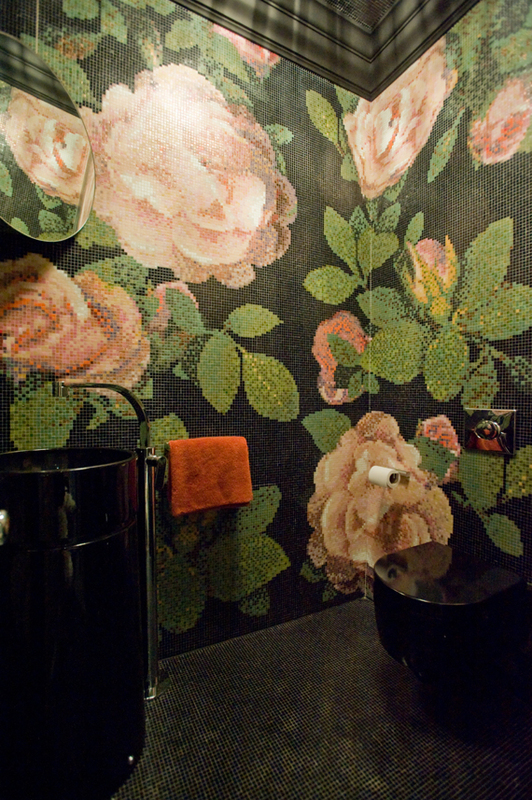 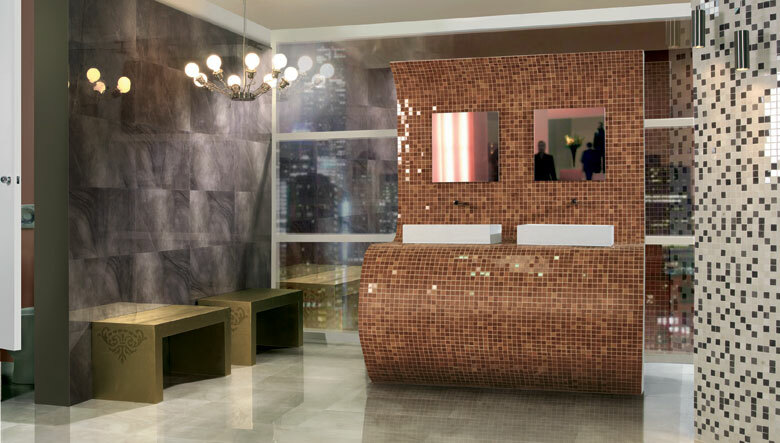 Foglie fantasia crystal mosaic bathroom. 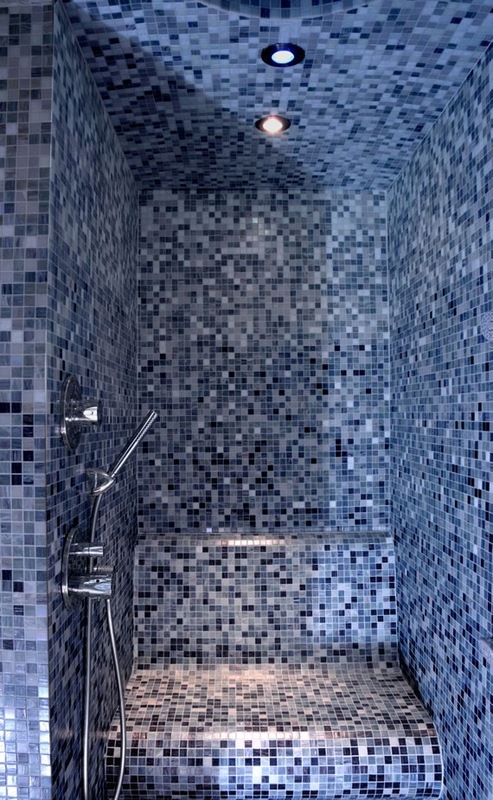 Blue and white mosaic bathroom by Vetrovito. 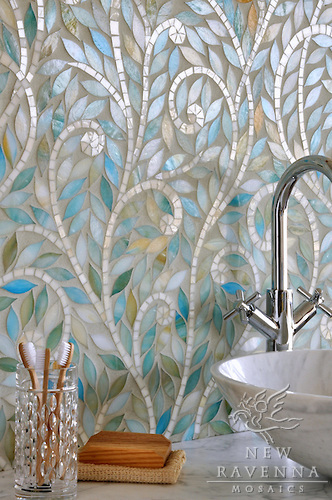 Climbing Vines by Ranenna, a jewel glass waterjet mosaic, is shown in Aquamarine leaves and Quartz vines. 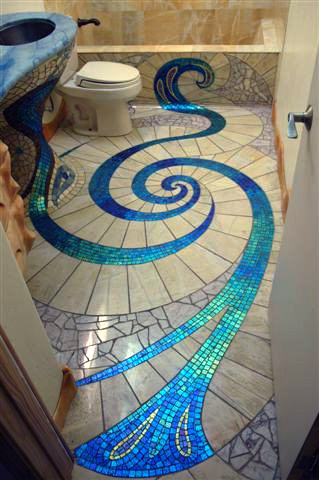 Jacqueline Vine, a natural stone waterjet mosaic, is shown in tumbled Thassos. 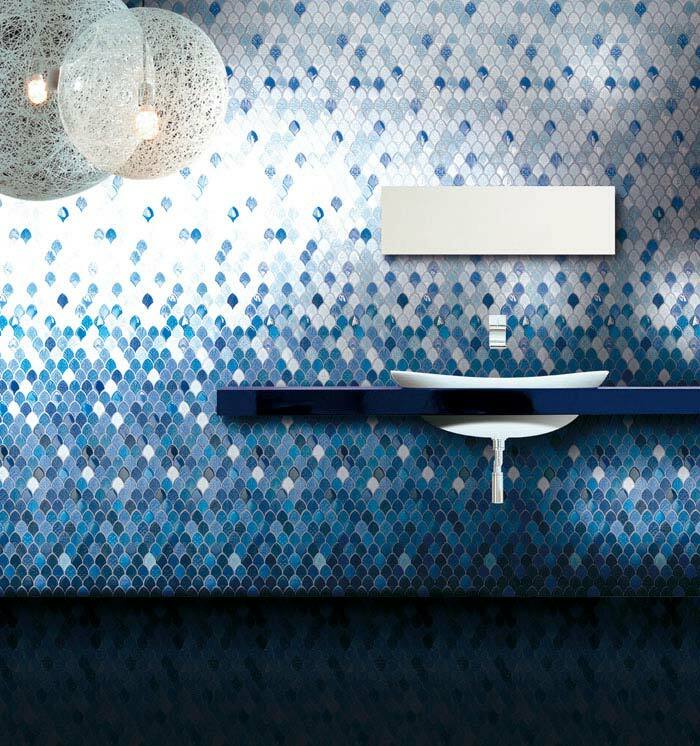 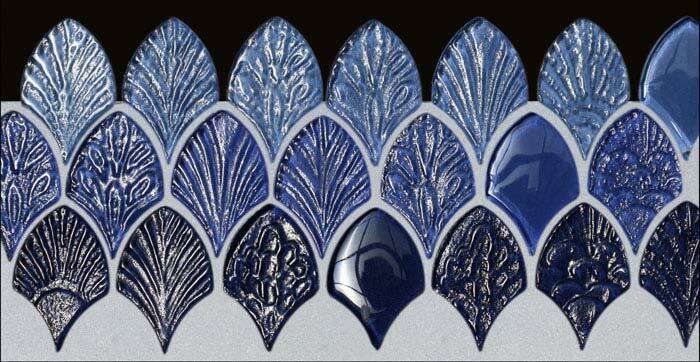 Fiona, a jewel glass waterjet mosaic shown in Aquamarine and Dusk Mirror, is part of the Silk Road Collection by Sara Baldwin for New Ravenna Mosaics. 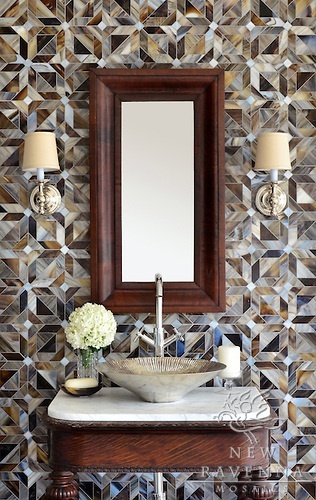 Tamara, a stone waterjet black and white mosaic shown in Nero Marquina honed and Thassos polished, is part of the Silk Road Collection by Sara Baldwin. 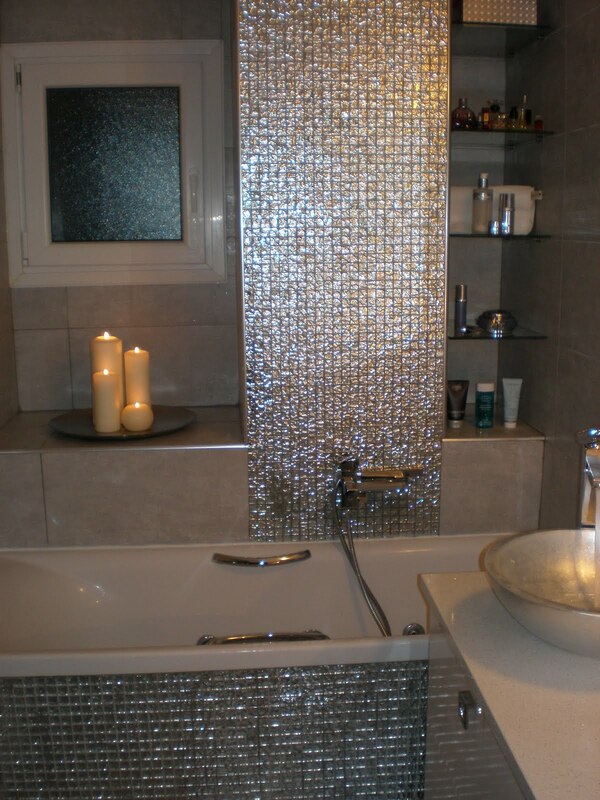 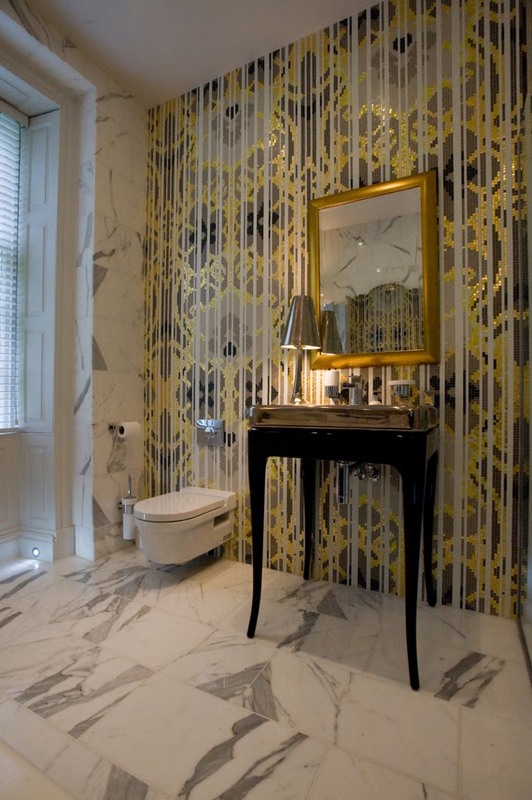 Kingston Lacy jewel glass mosaic shown in Absolute White and mirror. 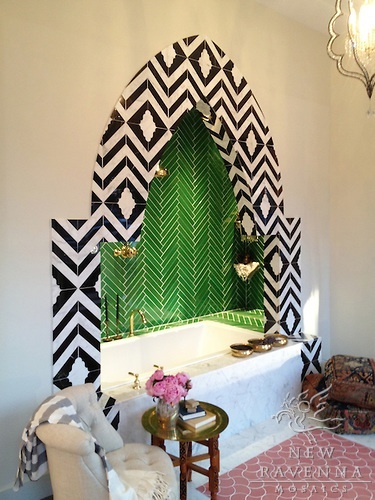 Custom Maharaja, a stone waterjet mosaic shown in polished Nero Marquina and Calacatta Tia, is featured in this bath designed by Genevieve Gorder for Blackman Studio, Southampton NY. 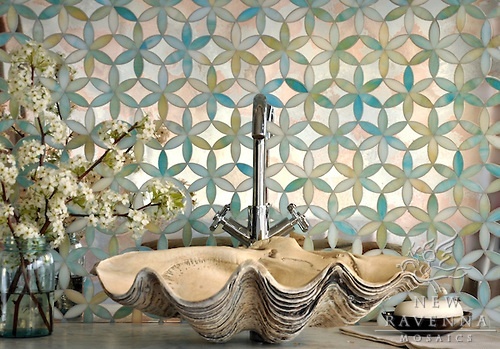 Rubrik, a jewel glass waterjet mosaic shown in Pearl, Schist, and Lavastone, is part of the Parquet Line by Sara Baldwin for New Ravenna Mosaics.